The Law Offices of Douglas T. Tabachnik, P.C. is a niche legal practice, focusing on the most complicated and dire bankruptcy issues on behalf of businesses and individuals in New York and New Jersey. With his more than 30 years of legal experience, Douglas T. Tabachnik regularly contributes to commercial bankruptcy cases throughout the United States and, when needed, worldwide. The firm also represents consumers in personal bankruptcy matters throughout the state of New Jersey. The firm's main practice areas include the following: -Corporate bankruptcy -Individual bankruptcy -Commercial law -Creditors' and debtors' rights Douglas T. Tabachnik draws on his experience to address any commercial bankruptcy and debtor's rights issues and other financial legal concerns that arise during your legal matter as he develops solutions suited to your circumstances. An established reputation: Douglas T. Tabachnik has received an AV Preeminent Peer Review Rating by Martindale-Hubbell every year since 2000. This rating indicates other legal professionals in the community have found Mr. Tabachnik to have an exemplary knowledge of the law and to have consistently acted in a highly ethical manner. Mr. Tabachnik has also been selected to the New Jersey Super Lawyers list every year since 2007, a peer rating that includes only the top five percent of lawyers in the state. His credentials have been vetted by the American Board of Certification, which has certified him as a Specialist in Business Bankruptcy since 2007. Experienced in business and debtor and creditor rights law: Douglas T. Tabachnik is among only a handful of attorneys to be certified as a Specialist in Business Bankruptcy Law in either New Jersey or New York by the American Board of Certification, a non-profit organization that is jointly sponsored by the American Bankruptcy Institute and the Commercial Law League of America, and recognized by the American Bar Association. He has been in private practice in New York since 1981 and in New Jersey since 1990. He is Of Counsel to the New York law firm of Novack, Burnbaum & Crystal, LLP. Mr. Tabachnik is also a member of the American Bankruptcy Institute as well as a number of other organizations dealing with business and individual bankruptcy. He has represented the Official Receiver of the State of Israel in the matter Official Receiver of the State of Israel v. Nakash, as well as U.S. Bank and Morgan Stanley as creditors in cases. His notable debtor cases include representation of the debtors in the cases of In re Smart World Technologies (an early dot com case) and In re Duncraggen, and 87-10 51st Avenue Owner's Corp. (involving cooperative apartment buildings). Personal involvement: You work directly with Mr. Tabachnik when he represents you. He gives you his full attention as you work through the scenarios and strategies that apply to your particular case. Mr. Tabachnik draws on the experience he's accumulated to resolve your bankruptcy, insolvency and commercial litigation law matters to your advantage. Whether you are a business, an individual or an attorney looking to work with an attorney with more than 30 years of experience in the field, Mr. Tabachnik takes the time to become personally involved in your case. The Law Offices of Douglas T. Tabachnik, P.C. maintains offices in New Jersey and Manhattan. Commercial clients from New Jersey and New York are represented. Mr. Tabachnik has more than 30 years of experience in these areas. Practice areas include: -Commercial client representation -Individual client representation Commercial Representation: Experienced bankruptcy and commercial litigation attorney: The Law Offices of Douglas T. Tabachnik has more than 30 years of experience in corporate bankruptcy, commercial litigation and commercial fraud. Douglas T. Tabachnik's work in these areas involves representation of businesses of all sizes and industries, law firms, creditors and lenders, high-profile clients and foreign governments. The firm's practice uses Mr. Tabachnik's niche practice to represent commercial clients in the following areas: -Bankruptcy litigation -Commercial bankruptcy -Commercial fraud -Commercial litigation -Commercial real estate bankruptcy -Creditors' and debtors' rights -"Clawback" litigation, including preference and fraudulent conveyance issues Bankruptcy litigation and commercial bankruptcy experience: Insolvency can be the result of one major event or the cumulative effect of a number of smaller events. Whatever the cause, Mr. Tabachnik is experienced in working with large and small businesses to explore the available options and methods to protect businesses from impending legal issues and provide risk analysis to avoid future legal pitfalls. Mr. Tabachnik, who also holds an M.B.A. degree, has more than 30 years of litigation and commercial law experience and does not hesitate to use this experience on behalf of his clients should litigation become necessary to protect a client's interests. Fraud and corporate fiduciary law: In matters of fraud or breach of fiduciary responsibility, Mr. Tabachnik is familiar with the ins and outs of the cases and process. His position as one of the youngest vice presidents at a major corporation, in combination with the studies he completed leading to his M.B.A., has given Mr. Tabachnik hands-on business experience. The Law Offices of Douglas T. Tabachnik, P.C. will put that experience to work for you. Individual Representation: Experienced bankruptcy attorney representing individuals: Whether your insolvency arises from one significant life event or from a number of financial incidents,Douglas T. Tabachnik can help. With more than 30 years of experience in the bankruptcy field, Mr. Tabachnik is familiar with the nuances of bankruptcy law. He puts that familiarity to work for you. * Individual practice areas include: -Debtor's and creditor's rights -Individual bankruptcy -Chapter 7 -Chapter 13 -Chapter 11 Helping individuals and families make a fresh financial start: When debt mounts and there is no immediate relief in sight, personal bankruptcy becomes a serious consideration. Douglas T. Tabachnik examines your debt and assets to help you explore your debt relief options and give you the legal advice you need to make a decision. Our fundamental philosophy is not to file for bankruptcy unless: 1) it will actually help you and 2) all available options have been explored and discounted. An experienced debtor and creditor rights law litigator: Whether your financial concerns call for matters to be settled through arbitration, mediation or litigation, Mr. Tabachnik has the experience you need to guide you through the process. If necessary, he puts his experience as a litigator to work for you. Douglas T. Tabachnik is a member of the Law Offices of Douglas T. Tabachnik, P.C. He has more than 30 years of experience in bankruptcy and commercial and consumer litigation. 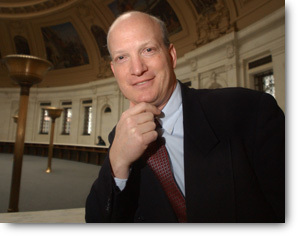 He is one of only a handful of lawyers in either New York or New Jersey that is certified as a Business Bankruptcy Specialist by the American Board of Certification, a non-profit organization sponsored by the American Bankruptcy Institute and the Commercial Law League of America and recognized by the American Bar Association. For the past five years he has chaired the Bankruptcy Litigation Section of the New York State Bar Association and has been ranked among the top five percent of New Jersey attorneys by the publishers of the Super Lawyers list. He received an AV Preeminent Peer Review Rating by Martindale-Hubbell. This rating indicates other legal professionals in the community have found Mr. Tabachnik to have an exemplary knowledge of the law and to have consistently acted in a highly ethical manner. -Mr. Tabachnik has, since 2005, been the Chair of the Bankruptcy Litigation Committee of the Commercial and Federal Litigation Section of the New York State Bar Association. -Mr. Tabachnik has been and continues to be a frequent guest lecturer for the National Business Institute in New York on the topic of bankruptcy and debt collection, and has also lectured on dot-com bankruptcies for the NBI. -Mr. Tabachnik has been program chair on bankruptcy litigation forums sponsored by the New York County Lawyers' Association. -Mr. Tabachnik has also been program chair for evening forums sponsored by the New York County Lawyers' Association on tax issues in bankruptcy and bankruptcy litigation. -Mr. Tabachnik has been guest panelist for a forum on ethical issues in bankruptcy sponsored by the New York County Lawyers' Association. -Mr. Tabachnik has been a guest lecturer for the New York County Lawyers' Association Committee on Corporation Law, speaking on issues regarding the piercing of the corporate veil and fiduciary obligations of directors and officers of insolvent business entities. -Mr. Tabachnik is a member of the board of trustees of the New Jersey Bankruptcy Lawyers Foundation, a not-for-profit entity devoted to assisting pro bono clients with affording filing fees for access to the bankruptcy courts in New Jersey.